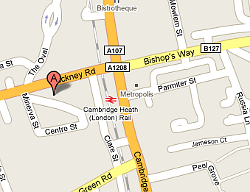 The Cenatus office is located at The Apiary, an independent photo studio and creative production space situated in London’s East End. Besides running Cenatus from our desks at The Apiary, we also produce events and installations within the building. Subscribe to our mailing list or follow us on Twitter to keep yourself in the loop.